In 1855 the shepherd James ‘Jock’ Mackenzie was caught inland from Fairlie with 1,000 sheep from the Levels station. He protested his innocence, but was jailed. He escaped twice before being pardoned. His exploits, and those of his dog, won him widespread public sympathy and he became a folk hero. The area where he was apprehended was subsequently named ‘the Mackenzie Country’. 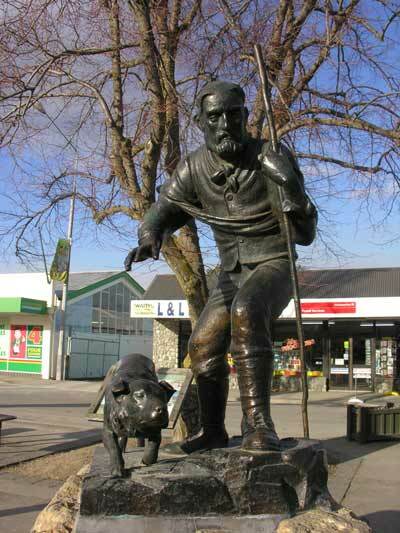 This memorial to Mackenzie and his dog is in Fairlie.